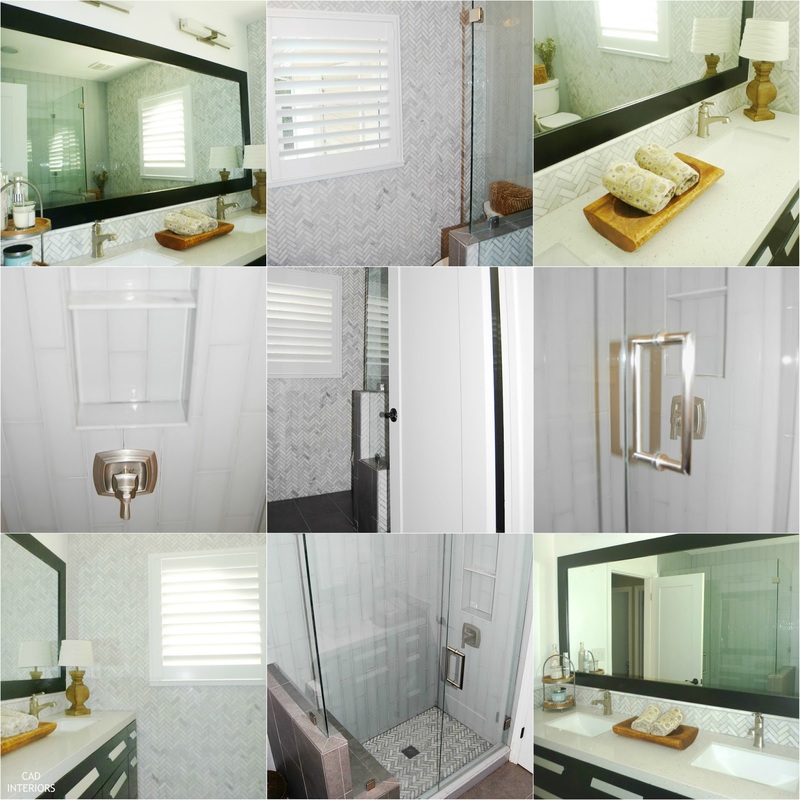 We have completed two bathroom renovations within a span of two years. I'm talking down to the studs gut renovations! There is nothing like actually going through the process twice now to learn a lesson or two. In case you are considering a bathroom renovation yourself, I thought I'd share some practical tips that will hopefully benefit YOUR process. If your budget is quite restrictive, a recommendation would be to invest in one or two high-impact items (like lighting and fixtures), and be more economical and design-savvy with the rest. For instance, use decorative tiles as an accent to compliment simple subway tiles. 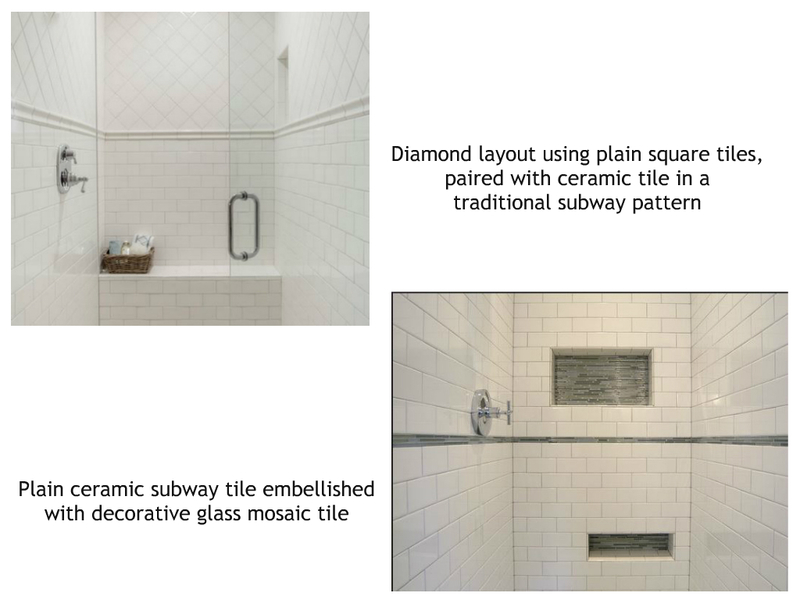 In our guest bathroom, we paired classic white subway tile (<$2/sf) with a pricier marble hexagon mosaic (~$11/sf). In our main bathroom, we used 4x16 porcelain tile and laid it in a vertical subway pattern rather than in the usual horizontal direction. Keep in mind how the space will be used. Consider sight lines as well. For example, don't place the toilet within full view of the entry. Sight line from the doorway. The commode is tucked away behind the pony wall so it is not immediately visible when you enter the room. Once you've come up with your bathroom's layout, make sure you review it with your contractor BEFORE you do anything else. Bathroom renovations involve various trades, including the plumber and electrician. It is super important that the design layout will work from a "technical" standpoint. There are codes that need to be followed. Keep in mind that if you have an older home, you may need to address any "surprises" if you open up walls. All the more reason to have a cushion in your budget! Bathrooms need to function. Period. 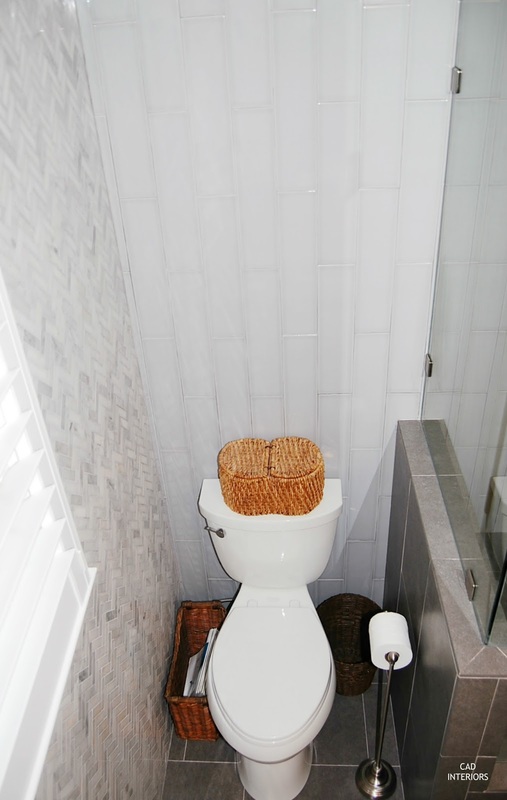 Consider how many people will be using the bathroom on a consistent basis, the amount of storage needed, etc. 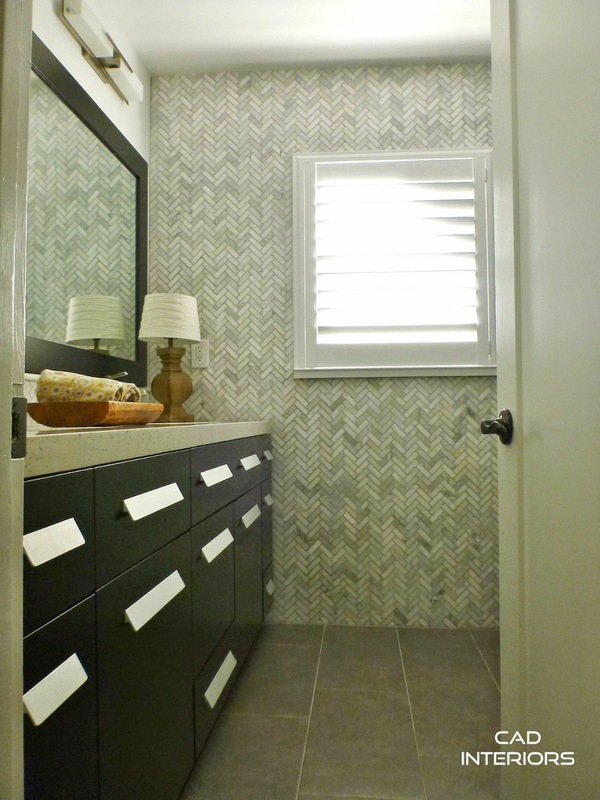 A powder room functions much differently than a bathroom that's used by multiple family members on a daily basis. Function and layout go hand in hand when space planning. For example, our guest bathroom is sporadically used. 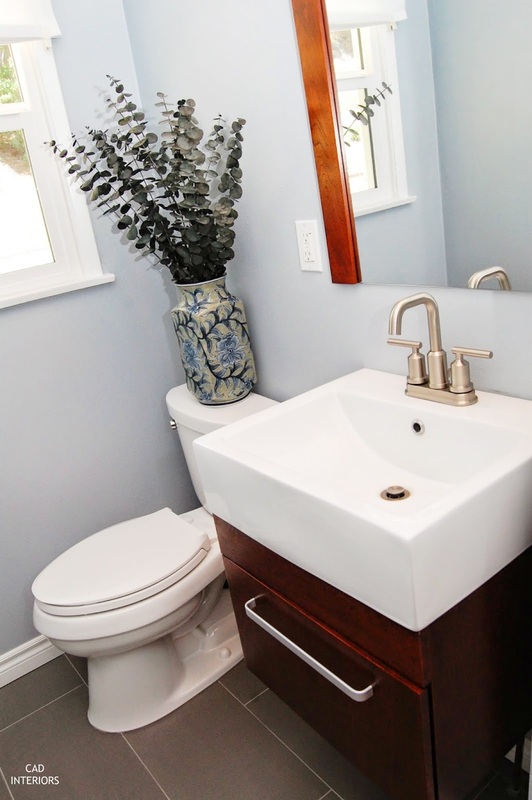 A sleek, single-sink vanity functions perfectly in there. It offers enough storage to hold extra toiletry items or guest essentials. In contrast, since our main bathroom is used daily by the four of us (until the master bath is done), adding plumbing for a second sink was worth the expense. The vanity cabinet is a storage workhorse too! 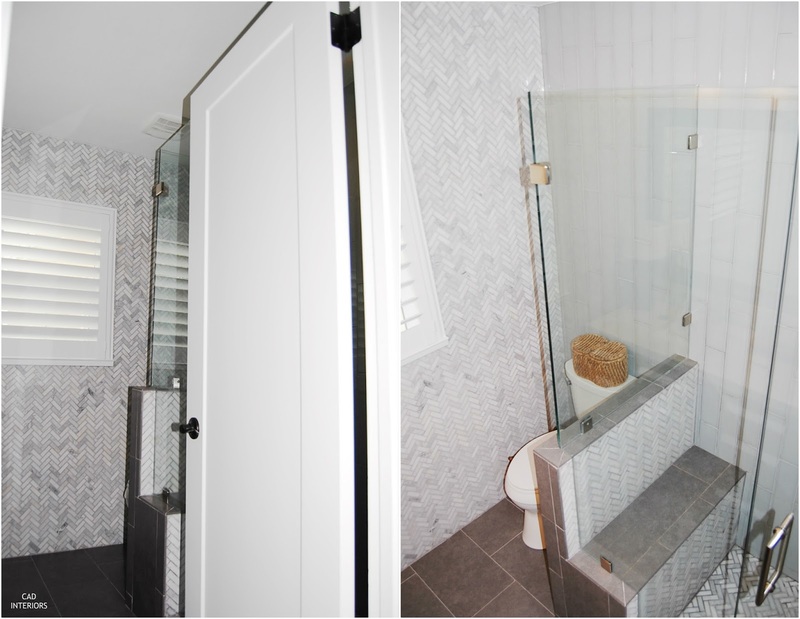 The renovation of our guest bathroom in 2013 was our very first experience with a total bathroom overhaul. A major "error" we made in that renovation was not recessing the existing plumbing lines under the vanity into the wall. Make sure you carefully go through all the plumbing and electrical with your contractor BEFORE the drywall goes up. Inspect every step of the way! Fortunately, we were much wiser when it was time for our main bathroom remodel in 2014. That's not to say we didn't have our fair share of obstacles in this renovation. Our home was built in 1955, so the walls aren't perfectly straight! 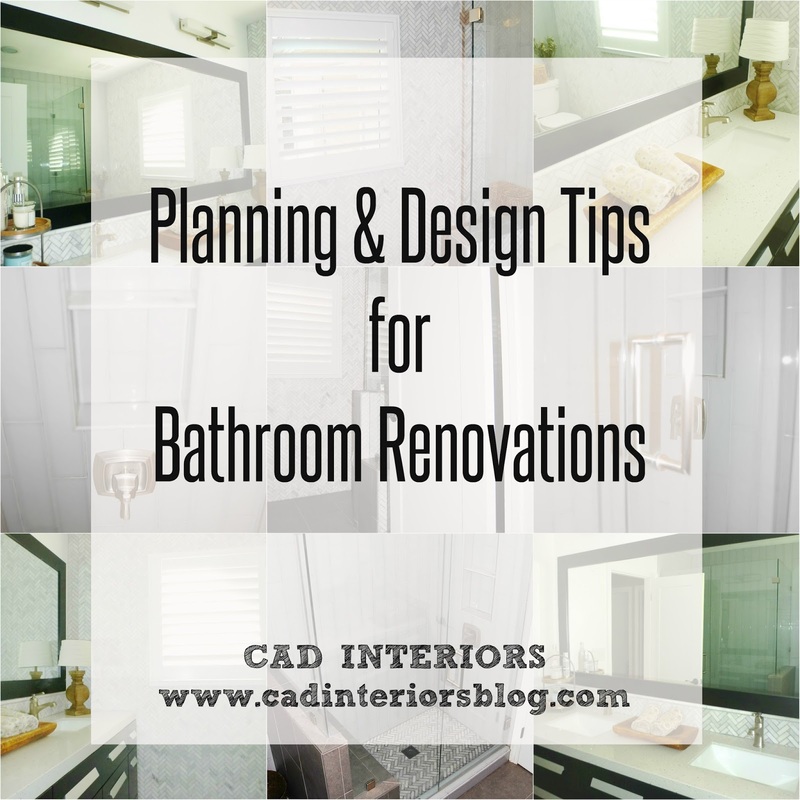 Hope this post was handy and helpful for those of you who are planning major bathroom renovations. 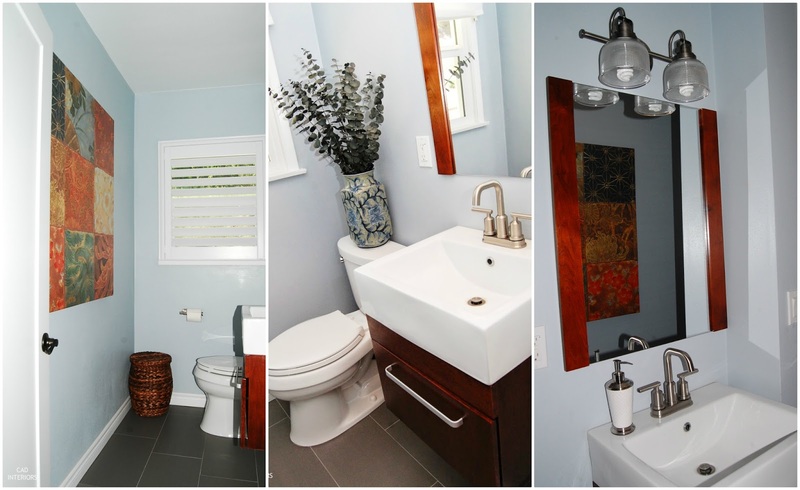 I'll be sharing a few more bathroom renovation tips soon! Also, the photo under the LAYOUT header, is stunning! Gorgeous, I love how the door opens to the stunning marble wall and the great vanity with the even greater hardware (that's your magazine photo! ).